Our reading today is a sample of one of the richest love poems in literature, and the only such writing in the Bible. It is first and foremost a celebration of love between a man and a woman. As such it has a happy lighthearted playfulness that is contagious. It is also sensuous with the colour of flowers, the sound of the dove and of singing, and fragrant with new growth on the vines. However, as is often the case with romantic love, there is also trouble. "Little foxes that spoil the vines." "The Song is a constant goad to drifting marriages with its challenge to seek for openness, growth, and joyous relationship. It also makes an excellent premarital manual. As biblical archetype it can bring healing to the core of our being with its hope of covenant love as it reshapes our marriages..." - Donald Pickerill, New Spirit-Filled Life Bible, p. 860. But the Song of Solomon can also be interpreted as an allegory of Christ and the church. Carrying on with the introductory paragraph above. "Its portrayal of the covenant relationship also has application to the covenant love relationship enjoyed by God's church. In this regard, the Song can be rich in symbolism but should not be read as an arbitrary allegory with mysterious meanings supplied by the whim of the reader; rather any such personal application of one's love relationship with Christ should be interpreted with solid application, using obvious biblical parallels" - Ibid. Keeping that last warning to not stretch comparisons in mind, I think it's safe to say that little foxes, seemingly small issues, can also attack our relationship with God. A footnote in my Bible names a few of these: unbelief, resistance, hardness of heart. "Hardness of heart is the great enemy of love, since everything depends on receptivity and openness - Read Numbers 13 and 14)" Op. Cit p. 863. 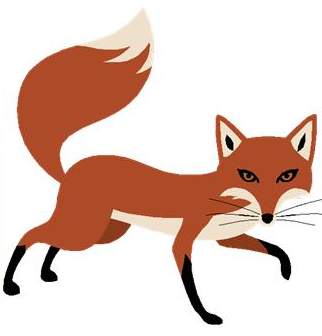 Let's examine our lives for "little foxes." In our marriages what are the little annoyances that threaten our relationships? As believers in the body of Christ, the church (the Bride of Christ) are we guilty of unbelief, resistance, hardness of heart toward Jesus, our spiritual bridegroom? PRAYER: Dear God, please help me to be aware of the little issues that so sneakily spoil my relationship with my husband, and the tolerated sin that compromises my relationship with You. laziness leads to poverty (Proverbs 6:10-11). foolishness leads to a wrecked reputation (Ecclesiastes 10:1). tolerated sin leads to its exponential growth in one's life and in the church (1 Corinthians 5:6).